It always begins with the first sentence—this opening line is of utmost importance to a novel, for it sets the stage for the entire book. The initial impact is vital in order to tantalize the reader into staying for the entire chapter. At this point, details are not important. A question must be posed, confusion instigated, an air of mystery, or some item of fancy that leads the audience to want to know more. It is a tricky business writing that first line. Many a writer sit dumbfounded with that blank page starring coldly at them, unable to pen those allusive opening words. The trick is to just start. Write something down—anything. Once the story unfolds, then go back and rework that opening line. Yet more can be revealed within those first few words than may be initially evident. There is value in examining on a deeper level. 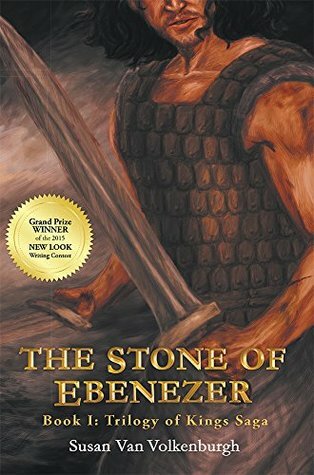 What does the first sentence of my novel, THE STONE OF EBENEZER, tell the reader? The sun stood at its full height over the once lush valley, laid to ruin by the ravages of war, now a barren wasteland littered with corpses and blood-soaked earth. Now look further; where does the story begin? The first sentence starts in the middle of the action. So we ask, what has happened to lead to this event? And as you read further, it is evident that a deep history resides prior to the opening of this novel. 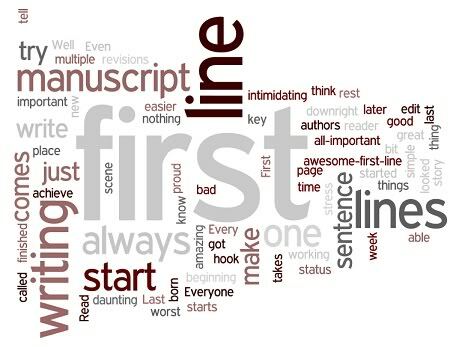 The first sentence may begin your book, but it is not the start of your story. Your reader has entered the novel at this point, but does not yet know how they got to this place in time. (laid to ruin by the ravages of war, now a barren wasteland littered with corpses and blood-soaked earth). Hope and beauty, barrenness and despair—all within the same plain. Opening lines can be complex or a few well-placed words that open a floodgate of questions. So here is your opportunity to tantalize us with your first lines. In the comments below, share the first sentence of your latest book. Let us see what can be revealed within the opening lines of your story. How can one live history? For if history is an account of events that have occurred in the past, how can one actually live history? For those of us that really enjoy studying the past, living-books enwrap us in the arms of past events, transporting us into a world that is beyond the scope of our present reality. The term ‘living-book’ was coined by the great British educator Charlotte Mason (1842–1923). She envisioned an education, with interest and emotion, which spoke directly to the child. Historical fiction are living-books. It tells a story placed in the past. Events and settings are real, drawn from history in which the spirit, manners, and social conditions of persons and events are captured. Historical fiction provides a medium that is entertaining as well as rich in education. How better to identify with a time and place than to be wrapped in the events of a beloved character in whom we can relate? When we make that emotional connection to a character in a book, we are better able to remember the facts and events that are often presented as dry information in history text books. The series, Trilogy of Kings, is such a story. It is a historical fiction that will enrapt the reader in a thrilling adventure that is based on true events. Guaranteed to entertain as well as educate, follow the three kings of Israel as they face the personal and spiritual struggles common to the human condition.